Marketing, y'all. It's a necessary evil. So let's talk a little bit about covers and re-branding. (Because... you know, other people don't do it enough.) Now, we all know that it is customary, when a book is adapted into a movie, that the book is re-released with a cover to match it to the movie poster, in order to highlight the tie and draw a new audience to the original work. As a marketing tactic, I have nothing against that. In fact, a good movie poster re-design can sometimes be even better than the original cover. The one for "Before I Die" by Jenny Downham (which is even re-titled "Now Is Good", because apparently the faces of the two movie stars were not enough,) is not one of them. In my opinion. In fact, it reminds me in many ways of the "Twilight" movie cover which. But this isn't about resembling "Twilight" (or a Nicolas Sparks novel. Or any or all of the NA books that are out there right now.) This can be as bland and generic as it wants to be, even if I think the light falls a little funny. No, it's just that it doesn't seem to reflect the book at all. 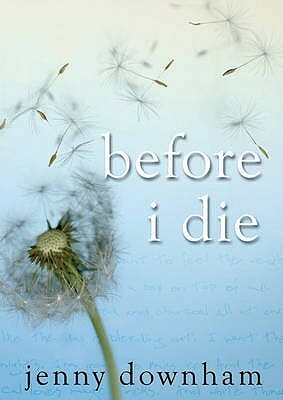 The story of a dying girl and her bucket list isn't new, but "Before I Die" was particularly poignant because of how realistic it was. Tess, as the POV character, gets the most limelight, but the rest of the cast is equally build up, which adds dimension and quality to her journey. She starts off wanting to break the law and do drugs for the sake of it, but it's her interactions with the people around her that make her really think about what she's doing and what it means, and in the end helps her grow as a character. And the original cover reflects that. Sure, in terms of framing of the shot and model, it's not that different from a lot of YA out there (in fact, I originally thought that scarf was Tess' hair) but it makes it crystal clear who the protagonist is and, in a way, reflects the place she sets out to reach - one of contentment. The new cover (and by extension, the new title) makes me think of a romance novel, which would have been fine, except the romance was never the main focus. It was a subplot, and a fairly good subplot at that, but a subplot nonetheless. The focus of the book has always been about Tess' journey, and I'm not sure how I feel about a repackaging that misrepresents everything the book is about. Was there really no other shot from the movie they could have used? Even the actual posters reflected that better! Of course, one might assume that the reason for the change was to appeal to fans of TFIOS, especially with the new movie coming out soon. (Well, the rebranding took place in 2013, as far as I can tell, but the movie has been announced for a while now, so it's not an unreasonable speculation.) Which... I don't know. On the one hand, I'm all for drawing in a new audience. 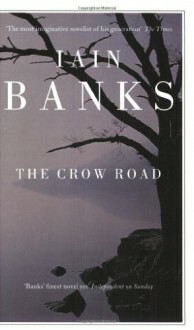 But did a multi award-winning novel really need rebranding and repackaging? I can't help but feel that more and more marketers are trying to go down the "romantic tearjerker" route with their offerings, which frustrates me because... well, is that really the point of it? Come on! Be real here. I don't know. Which one of these two covers do you prefer? Or the third one, perhaps? Note: Images via BookLikes and Goodreads.